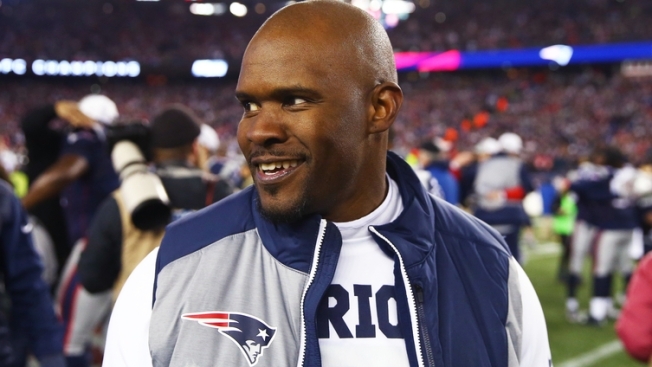 Brian Flores will be working overtime during the New England Patriots' bye week, it appears. The Patriots' linebackers coach/de facto defensive coordinator has agreed to meet with the Cleveland Browns, Denver Broncos, Green Bay Packers and Miami Dolphins this weekend regarding their head coach vacancies, CBS Sports' Jason La Canfora reported Tuesday. All four of those teams had expressed interest in interviewing Flores, per reports. The exact times of the meetings aren't set, per La Canfora, but it sounds like Flores will have four interviews in a span of 48 hours during the NFL's Wild Card weekend. Fortunately, the 37-year-old assistant coach has the time: New England has a first-round bye as the AFC's No. 2 seed and won't know its Divisional Round opponent until at least Saturday night after the Houston Texans-Indianapolis Colts game. Flores' interview blitz isn't unusual, either. Assistant coaches on playoff teams can only interview for head coach jobs on bye weeks, meaning Flores will be unavailable for interviews from the Divisional Round until the Patriots are either eliminated or reach the Super Bowl. Flores' coworker, Patriots offensive coordinator Josh McDaniels, is getting a head start on his interviews, with an interview with the Green Bay Packers reportedly set for Friday.